In the overwhelming thunder of 2009's Big Fizzle (the economy) many smaller yet important fizzles may have escaped public scrutiny. Here are nine that our writers found worthy of drawing to your attention. Feel free to add your candidates as comments. 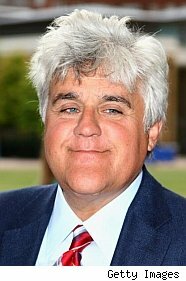 Jay Leno, the former undisputed King of Late Night, still has a place in the TV kingdom, but not in prime time. His 10:00 p.m. "Jay Leno Show" -- which was hyped by NBC as the next great talk-show reinvention -- got shellacked in the ratings war of 2009. Early lukewarm reviews of the Monday-through-Friday comedy program hinted at a possible ratings rout: "Leno's funny, but ... he adheres to the center of the exact middle road, so it's wrong to expect a revolution here. ""It's not a good sign when the Bud Light commercial is funnier than the comedy show it interrupts." Ouch. The program showed ratings promise early on, but by Nov. 9, a scant two months after its mid-September premiere, it was cruising the swamps with a 1.2 national rating among 18-to-49-year-olds, a key demographic. That's 4.07 million viewers, compared with the nine million or so that tune in regularly to CBS' "CSI: Miami" in the same 10 p.m. time period. Google's deep pockets are funding a multitude of new products and Internet services, but few have come so highly hyped as Google Wave. The service, pitched as the next step in evolution from e-mail, was available to only a handful of selected users for much of 2009, so only late in the year did many of us get a chance to test drive the service. Perhaps we've come to expect too much from Google, but there was no magic in the Wave. Jason Hiner of TechRepublic called it a "super-chatty IM client," an apt description for the service which merges together IM chat, video, e-mail, and group-editing. Tech guru Robert Scoble panned it, writing "it brings the worst of email and IM together: unproductivity." By the time Paula Abdul finally made the official announcement that she was quitting American darling "American Idol" in August 2009, it was big news: but not nearly so big as the months, or even years, of speculation leading up to it. In April, when the eighth season wrapped up, Paula let slip that her contract was up for renewal; and her co-stars went on to sign with Fox, reportedly for as much as 20 times Paula's pay, while Paula's manager ran up against an unmovable negotiating stance (they wouldn't pay more than $4 million, compared to $40 million for Simon Cowell, says Gawker). There had been quite a kerfuffle in 2005, when she was accused of having an affair with Season Two contestant Corey Clark; and again in 2007, when she broke her nose in an odd accident with her pet chihuahua, causing her to miss two episodes. Each time, her fans would insist that "American Idol" without Paula would fail miserably, and she suggested as much until her replacement, Ellen Degeneres, was named. The fear over the H1N1 flu bug was apparent by the automatic messages I'd hear every time I called my pediatrician's office, my pharmacy, even my family's obstetrician: each one prefaced all other statements of hours and which numbers to press to reach someone with the current status of the H1N1 vaccine there. And every time I called, that status was "we have none." As swine flu went from specter of bizarre piggy fear (remember when we thought we could get it by eating pork? Yeah, I do too) to an official virus with a weird letter-number-letter-number name and a list of the dead numbering in the triple digits, we saw people wearing surgical masks in airplanes, doctor's offices, the city bus, sure that a plague was upon us. The WHO named it a global pandemic; President Barack Obama called it a national emergency. Chicago's bid to host the 2016 Summer Olympics was so hyped it felt like a done deal. Property was acquired, accessories made and a vicious debate waged about the good and bad parts of hosting the games. Oprah and the Obamas flew to Stockholm, and in a city where the mayor is entrenched and pretty much always gets what he wants, the outcome seemed a foregone conclusion. No matter: Warren's tony Saddleback Church wasn't exactly hanging on for dear life the way urban ministries in crack house neighborhoods do. To put it in perspective: The $2.4 million Warren raised, if donated directly to the Christian relief group Compassion International, could keep 10,000 children alive through its Child Survival Program for an entire year. Don't you just feel warm all over now that Warren, in theory, now has the option of replacing the megachurch's modern sound system with an even newer one? Remember when Dubai was synonymous with chic, sheiks and sleek? What a difference a real estate bust makes. Sure, the tiny desert emirate grabbed headlines recently with the opening of the world's tallest building – the 160-story Burj Khalifa. But even that monument to hubris can't hide the fact that the Middle Eastern paradise that once attracted the uber-rich to its man-made islands shaped like palm trees and indoor ski runs drank too much of the credit Kool-Aid. Within the span of a few years, Dubai – which sprouted seven-star hotels and sparkling office buildings – saw its international investment strategy collapse amid the global recession. It seems that gorging on credit wasn't good for Dubai either. Today the emirate is stuck with square miles of empty office space, and thousands of newly unemployed workers are heading back to their far-flung homes. It's racked up an $80-billion debt, $60 million of which is held by Dubai World, its investment arm. When Jon and Kate Gosselin opened their doors to America in 2005, soon after Kate gave birth to sextuplets, we were rooting for them. After all, the middle class Pennsylvania couple was willing to share the ups and downs of raising a set of twins in addition to the sextuplets, warts and all. But the 21st century reality TV fairy tale, otherwise known as "Jon & Kate Plus 8," came to a halt when the two announced they were separating in June 2009. Then came the headlines, from 'Kate was a monster mom and wife' to 'Jon abandons the kids to tomcat around and live the high life in the Big Apple.' Needless to say, fans had had enough, and the Jon and Kate brand was damaged. "I can't imagine any brand that would want to associate themselves with Jon," says Jared Shapiro, executive editor of Life & Style Weekly. "I think he oversaturated his image, and what little appeal there was in terms of fame got tarnished with insincerity." By the time Jon sued to end the filming of the show, which had been renamed "Kate Plus 8," everyone was ready to move on. Through shrewd marketing or dumb luck or grace of the universe, the "must-have" toy of the year in 2009 was the humble Zhu Zhu pet, a mechanical hamster (there are four, actually) that would respond to petting with coos and trills and entertain small children with its unpredictable trajectory. Developed by toy industry veteran Russell Hornsby and his small, 7-year-old St.-Louis-based manufacturer Cepia, Zhu Zhu means "little pig" in Chinese. Still a prototype as late as last year, Zhu Zhus proved popular in small test markets, and apparently got good reviews with the Mommy Bloggers. After it was named as a "hot toy" in Toys R'Us annual Hot Toy list, these little piggies were off and running.